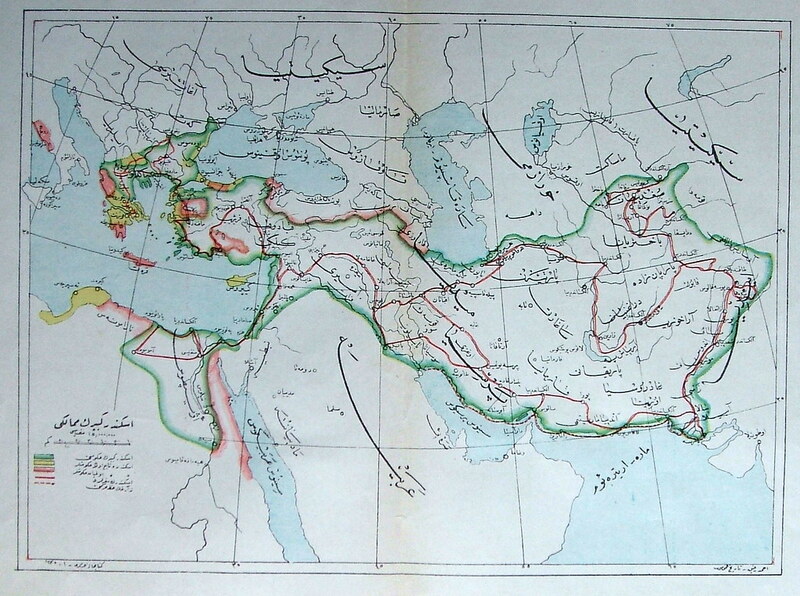 An Ottoman historical map showing Alexander the Great's route and conquests. Regions not directly conquered but under his authority are yellow, regions that are not are in pink. Nothing profound to say about this map either, except that it still seems fantastic that the Islamic world calls him Iskender because the Al in Alexander was an article. Sort of the opposite of how English got Alligator from the spanish el lagarto.